Roland strolled back to Napoleon House. He liked that bar. It got its name from Nicholas Girod, mayor of New Orleans from 1812-1815, who made his home available to Napoleon should he need a place to escape. The name stuck to this day. As Roland entered some guys recognized him and waved him on. Surprised he walked over. “You were here a few nights ago,” one of the guys said. “You are not one of the locals here. Where are you from?” Roland joined them as another guy pulled up a chair. Roland had traveled the area, observing the dikes, dams, and water management projects in the area. 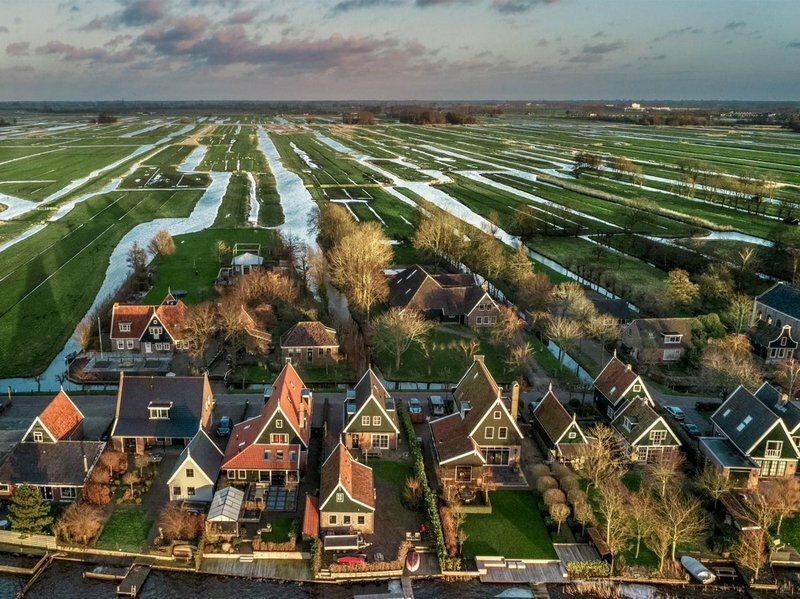 He noticed that a lot of the damage could have been prevented, and a bit of his Dutch pride about how water management is handled different in Holland, kicked in. He wondered why a lot of houses were built in marginally protected areas of the delta. He wondered if technology about water management was more advanced in Holland. He became more interested in the “why’s” of flooding, because he realized that American and Dutch technologically about water management were not that different. Engineers in both countries have a good idea of the conditions and risks that exist at any time. Didn’t they manage to not have such a high density populated and expensive businesses, in flood prone areas? “Yeah, Katrina was a disaster,” Tom chimed in, “not something we are very proud of, the way it happened and how we responded.” Tom went on to explain how hurricanes are pretty common, but how the New Orleans city fathers cut corners when it comes to controlling disasters, which are inevitable. The levees are not very strong, just consisting of sand. The population assumes those levees will hold, and water flowing over them is limited and only will happen for a few hours at the peak of the hurricane, flooding some places, but those are manageable. Height of the levees does not matter when they fail without water rising to their tops - like what happened in 2005. Floodplain mapping in the New Orleans area historically has been based on an assumption that the area was protected by the USACE-certified (US Corps of Engineers) levee system, which was developed over several decades beginning in the 1920’s. This assumption led to floodplain regulations that allowed building construction to occur at or below sea level with no accommodations made for the possibility of river- or coastal flooding. Flooding in most places within the river / flood wall protected area in and around New Orleans was due to breaches in levees and canals. Pump systems that would normally have removed floodwaters were non-operational due to inundation or from a loss of primary and backup power. In Metairie, flooding was caused by high water from Lake Pontchartrain surcharging the drainage system with pumps off. Local officials decided to evacuate pump personnel on August 28, before the storm hit, according to The Times Picayune, and first-hand accounts given by the New Orleans Flood Team. Early in the morning on August 29, 2005, Hurricane Katrina struck the Gulf Coast of the United States. When the storm made landfall, it had a Category 3 rating on the Saffir-Simpson Hurricane Scale–it brought sustained winds of 100–140 miles per hour–and stretched some 400 miles across. The storm itself did a great deal of damage, but its aftermath was catastrophic. Levee breaches led to massive flooding, and many people charged that the federal government was slow to meet the needs of the people affected by the storm. Hundreds of thousands of people in Louisiana, Mississippi and Alabama were displaced from their homes, and experts estimate that Katrina caused more than $100 billion in damage. What those many people failed to realize, is that their own laid-back attitude, and that of their city fathers, about hurricanes contributed to the situation. They had seen so many hurricanes that Katrina also would pass. “So you have levees instead of dikes?” Roland asked. “Well, yea, so what is the difference?” Mark replied. 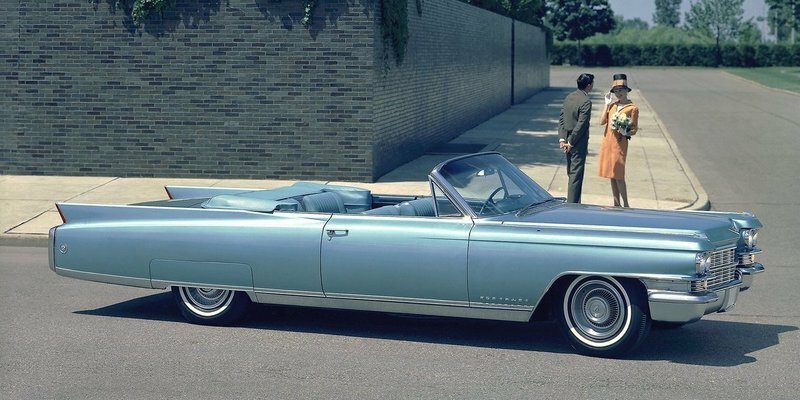 “Levees are built where the water level is about the same as the adjoining land, but six feet below sea level? That would require a dike, which is much firmer, has a wider base and is constructed of various materials; not just sand,” Roland explained. In 1997 the Dutch designed a policy called: Ruimte voor de Rivier, in English: Room for the River. The old policy and way of thinking had changed. The 1953 flood re-emphasized the old idea: we should capture all the land possible from the water, and re-inforce dikes where necessary, as global warming makes its entry and the consistent rising of the sea level mandates making the dikes higher and higher. When the Noord-Oost polder was laid dry in 1943, the land adjacent to the new polder was drying out, because the polder was lower so drew out the water from under the farms on the old land. The adjacent polders laid dry in 1956 and 1960 were separated from the old land, with a slice of water of the IJssel Meer so the groundwater would not be extracted. These bodies of water are now recreation areas. Not only the water engineers, but also the politicians and population became educated about water management. Building new polders automatically, was not the answer. The last polder, the Markerwaard was never pumped dry. It still forms part of the IJssel Meer with two dikes running through it. The existing rivers were restructured. Their old river beds were shaped so that the water would twist and turn through the landscape again, instead of having straight canals with high dikes and businesses right along those dikes. Most rivers have two dikes in case the first one breaks. What were the lessons? First of all, letting the river meander slows down the speed of the water allowing water to seep back into the ground. Second, less water would end up in the ocean and become salt water again. Break through the first dike so in winter water can have a place to go. Make it a pasture in the Spring and Summer. The story goes that the solid concrete in the canalized rivers of Los Angeles should be removed so water can seep back into the ground, instead of all that water going out to sea. That is also the main reason why the two tunnels Governor Brown wants to build to provide Southern California with more water is a flawed concept. Even if there was enough water to redirect, it is a basic error. Slow down the speed of the water from the Sacramento and San Joaquin Rivers so more water can permeate the soil again. The Indians had it right: go to the water, don’t redirect water to us. The river never formed a border, but always ran through the middle. Redirecting water looks good in the short-term, but is paid for later. The TVA (Tennessee Valley Authority) became the model for the Missouri Valley Authority and the Columbia River Authority. When the Kentucky Dam was built (as part of the TVA) it flooded 300,000 acres of rich farm land which had produced $21,000,000 / yr. TVA boasts that this dam produces $3,000,000 worth of hydro power or 1/7 as much. TVA shows an expense of $2,000,000 on its books for operating navigation facilities, but it seems to be purely a bookkeeping item, because the actual work was done by the Army Engineers. For the fiscal year that cost was $433,648,000 paid from army (= public treasury) funds. The actual sum in navigation facilities was $149,116,375. This investment was made possible by the Treasury Department. TVA pays no interest over that. The taxpayers pay that. Taxpayers also subsidized $6,855,997 of the fiscal year 1946 for shipping for a total of 256,465,000 ton/miles. This figures out to be 2.65 cents/ton-mile, which is about 3x as much what it would have cost by rail. TVA built enormous steam plants to subsidize the more costly hydropower. Those steam plants cost ¾ of a billion $$. That cheap electricity can help people in the immediate region but will not help the 40,000,000 people that helped pay for it. A riparian landscape is an area with relatively high groundwater levels. It is where trees grow. It is where water ponds. In a riparian area trees contribute CO2, CH4, N and P, adding nutrients that lead to aquatic productivity, excessive growth of plants which may reduce water quality. Eventually new riparian areas develop along the new shorelines. Additional water flowing will bring down sediments to replenish the soil. So we build a dam to collect water for agricultural, industrial, and cities needs. The reservoirs entrap the sediment going downstream, which in turn would replenish the soils for farming. Species will die off, not getting the necessary ingredients. Riparian native species become extinct. Imported species, for whatever reason, take over and can withstand the new conditions better than the native ones. Another term to know is watershed. That word has kind of a dual meaning. In the original British term it means a ridge separating one watershed from another. Water flows differently in two adjoining watersheds. 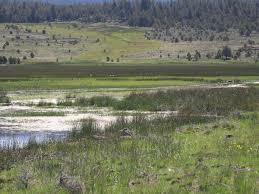 It is also explained as an area drained by a river, which includes an area larger than a riparian landscape. Drastic human interference will upset the balance. It may still be a healthy watershed, but deteriorating a riparian area, such as a dam construction. In general, it is least likely to have healthy riparian areas in poor watersheds. That can be temporarily restored somewhat by the exclusion of livestock grazing. In Pisek, Czech Republic is an old but still operating water mill, producing energy for the street lighting. František Križík, a contemporary of Edison also was searching for the electric light bulb, but Edison beat him to it. 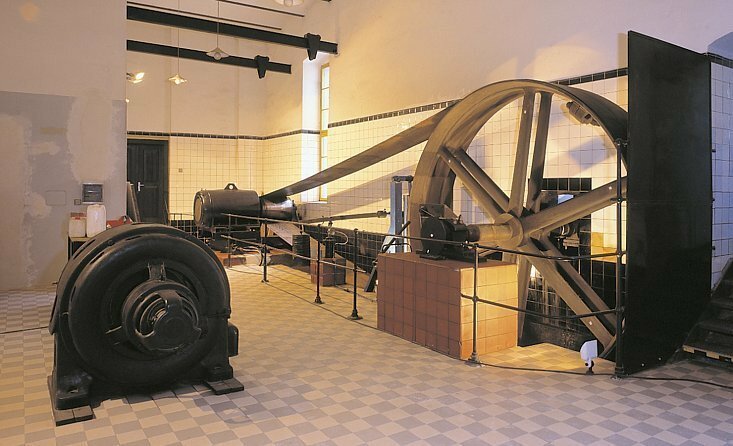 František designed the first electric generator in the town of Pisek, about 100 km south of Prague. It now is also has a museum. A six ft. dam was built across the Otava river in Pisek and water re-directed through the water wheels furnishing power for the generator. Later, a second station was built half a mile downstream. There were many of these generators installed in towns throughout South-West Czech. Rivers come down from the Šumava mountains, with the Vltava River going through Prague, called the Moldau as it goes through Germany to the North, being the biggest one. These local generators barely affected the watersheds of the rivers, yet provide energy. So, the Dutch and many other countries, including the USA, have come to the conclusion that re-directing water damages the environment. What now, and how do we educate the general population? "They’re a family but they won’t go to dinner together? No. Two women sitting together and a man? No, that’s not it either. It’s an ingenious system of names, arranged alphabetically depicting a sequence of hurricanes coming through the Caribbean." Ben was trying to follow Tim’s logic. “What’s with the male and female names?” Ben asked. Katrina was the hurricane in 2005, which damaged New Orleans. Harvey created havoc in Houston and Irma in Florida; both in 2017, following right after each other. It is not just the strength of the wind, but also the potential water damage. In the case of Katrina and Irma, it was the ocean water that was pushed into the land. Harvey came with an extreme amount of rain over Houston. “If there are so many hurricanes in a year, you can expect a lot of damage, right?” Ben asked. All of them have one thing in common: people build houses and companies where they have no business doing so. Those places are just tragedy waiting to happen. Unfortunately, hurricanes don’t come over the same areas frequently enough so people forget. Katrina was seen as just another hurricane in which the New Orleaners would have plenty of time to act. This one might just be a bit worse, and it was! Harvey brought so much water, which Houston could not handle, because everything was concrete. Building regulations were not adhered to, or inspectors looked the other way because of the boon that construction created, so water could not go anywhere. And Irma? Well, Florida could not really do much about it, being so close to sea level. “Twenty years,” the commissioner replied. “So the wet winter of 2016-17 is merely a drop in the bucket?” Theo asked. To give it some perspective: 1,000 acre/ft of water can quench the thirst and keep 16,000 jobs in the high tech sector, vs. 8 jobs in the agricultural sector. This can be countered by the fact that California has an ideal climate for agriculture. Its soils are ideal as well, but deteriorating in places like the Central Valley due to salination as a result of pumping up water, using it, and contaminating it with fertilizer salts before the remainder settles in the ground again. Another factor are Reno and Las Vegas, which provide 95% of Nevada’s economy, but use 10% of its water. Most water is used to grow alfalfa..! "Nevada has no business growing alfalfa," Ben concluded. It should not reduce natural habitat any further. It should gradually do away with special water “rights” such as the Central Valley cheap water. Water costs should be more equally shared. Identify the current rights of various water districts. Compare those to other water districts and users. Ground water rights needs to be managed as are the riparian rights. What needs to be done to separate water rights from money? In other words people with money should have no more rights than the less fortunate or the State and Federal governments. The New Melones Dam was the last big dam built in California between 1976-79. It was controversial. Environmentalists would reside in the canyon of the Stanislaus River, the deepest limestone canyon in the country, in an attempt to save it. To no avail. In the winter of 1979 the rainfall was enough to fill up the whole canyon for the first time. With the growing population, increasing industry, and increasing irrigation for cattle feed, this was another must-have project. The Army Corps of Engineers provided the final blow again. Unfortunately the water yield was lower than expected. Even in the wet 2017-18 year, when most of the reservoirs were at 75-90%, the New Melones was only at 30-50%. Most of the rainfall that year fell in Northern California, which the New Melones dam is not part of. “Then what is the answer?” Ben asked. “Ironically, the whole idea of needing more dams went away, and even existing dams have been, and are, demolished so the salmon can travel freely between the spawning grounds and the sea instead of becoming chopped liver through the power plant pumps,” Theo surmised. “And, while the California population keeps expanding?” Ben asked. “The population has been demanding an accounting of where water was going and increasingly realized that water was really cheap, courtesy of the California and American tax-payer. If farmers would have to pay the full price, they would not grow tomatoes in the Central Valley, let alone irrigation of cattle feed, which is the most un-economical use of California water,” Theo replied.